Please contact Jennie (owner) @ 810-730-6280 or Bill Milne (810-444-3319 for more information. Thanks. Bill & Jennie Milne purchased the Adagio E204 condo in 2004 during the pre-construction and very little commercial building was on the west end of 30A. The condo opened in June 2005. Bill/Jennie & Adagio E204 is new to Emerald Costal by Owner (May 2018) but the condo is one of the Highest rate condos at the Adagio Resort. The condo has over 50 ratings and is a VRBO Premier Partner. 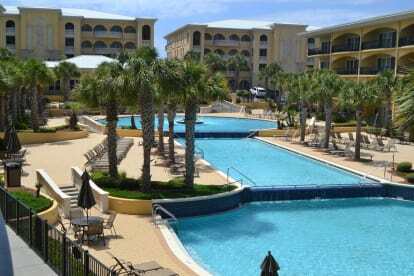 The Adagio Resort is located on the south side (Beach side) of Scenic 30A. Adagio E-204 is a short walk to the beach, pools, fitness center, and grilles. Free Wi-Fi throughout the condo. The Scenic 30A area (South Walton Beach) provides an experience that is relaxing. My family loves the area for its charm, scenic beauty and the sugar-white sand beaches and emerald green waters. The area also offers many unique shops, excellent restaurants and an abundance of golf courses. Water parks, outlet shopping, movies, etc. are all just a short drive away. We love the restaurants, activities and entertainment at Gulf Place, Grayton Beach, Watercolor & Seaside. Gulf Place and Grayton Beach are within walking distance and Watercolor/Seaside are an easy bike ride down the 30A bike path.